The first series of the final of the main Brazilian volleyball league will be on April 21. And our preview shows that Praia Clube is the best bet on the Brazil Superliga Women 2018/2019. Brazil is the most successful country in volleyball, even though the recent expansion of the sport in the 1980s. This happened especially because of the successful participation in the 1984 Olympic Games in Los Angeles. Since then, volleyball became the second most popular sport in Brazil. And the country has definitely provided some of the best players in the world to the sport. The success and aptitude for volleyball among Brazilians might come from two factors. As a South Hemisphere country, Brazil is one of the biggest fans of beach volley. Another one is that, although never confirmed, online sportsbook news sites in Brazil report that due to a football ban on Brazilian beaches, footvolley started to “invade” Brazilian beaches. As people still had access to volleyball courts, Octávio Moraes, a former football player, introduced it in 1965. This sport was basically beach volley, but with a football instead of a volleyball. And players couldn’t use their hands. Footvolley was certainly more famous among football players. Still, it only helps understand how volleyball is so influential in Brazil. The men’s national team is leading the world ranking, while the women’s team is 4th. They have both brought many titles to the country and this is why Superliga is one of the most exciting volleyball leagues to follow in the world. Minas and Praia Clube are already qualified to the final, as they won the first two series of the semifinals. This will be the first final between two teams from Minas Gerais. And even though Unibet Sportsbook is favoring Minas, our betting preview shows that Praia Clube has good chances to win. The volleyball season is coming to an end all over the world, but gamblers can still bet on the CEV Champions League winner. 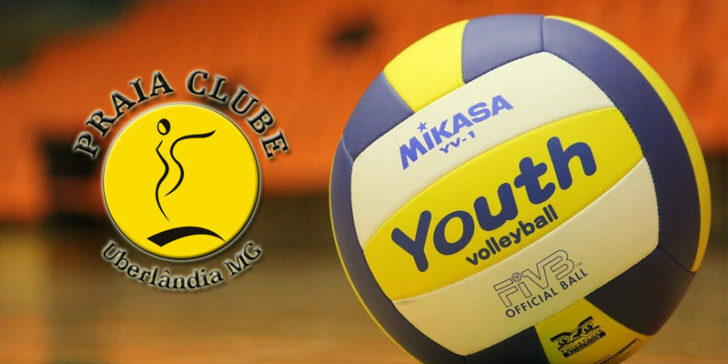 Unlike its opponent, Praia Clube’s volleyball team is recent and is only playing against the best teams in Brazil since 2008. But it has definitely been growing well and now, Praia is looking to renew its title and have another glorious year. Besides the Superliga victory, Praia also won the Brazilain Supercup in 2018. They were both first times for the team, which continues to deliver good performances this year. That same year, Praia was 4th in the World Championship, in what was their debut in the competition. Despite losing the 1st place to Minas in some important competitions in 2019, Praia won the last meetings between the two teams in March and had remarkable games in their recent appearances in Superliga. So a lot can still happen and they are very likely to surprise. They have the best middle blocker of the league, Ana Carolina da Silva, and one of the best outside-hitters, Fernanda Garay. The latter has been rumored to retire since last year. If this is really to happen, she will be trying her best in the final, scoring as many points as she can. This way she can end her career on the top. With a strong team, Praia might win another title and their odds of winning are 2.15 at Unibet Sportsbook. It is true, however, that Minas is unstoppable this season. After a few years without much success, the team finished the regular season on top of the table, 4 points ahead of Praia Clube. In February they claimed their second title in the South American Volleyball Club Championship. They had the most valuable player of the competition, the veteran Carol Gattaz. She had already helped the team reach the final of the World Championship last December, where Minas was runner-up. This was the second appearance of the team in the competition, after 26 years. As mentioned before, this year, they already beat twice Praia Clube. In the South American Volleyball Championship and in the Brazilian Cup. So there are reasons to think they will be leading the final. At online sportsbook sites in Brazil, Minas’ odds (1.62) are very high. Bet on the 2018 FIVB Volleyball Women's World Championship!